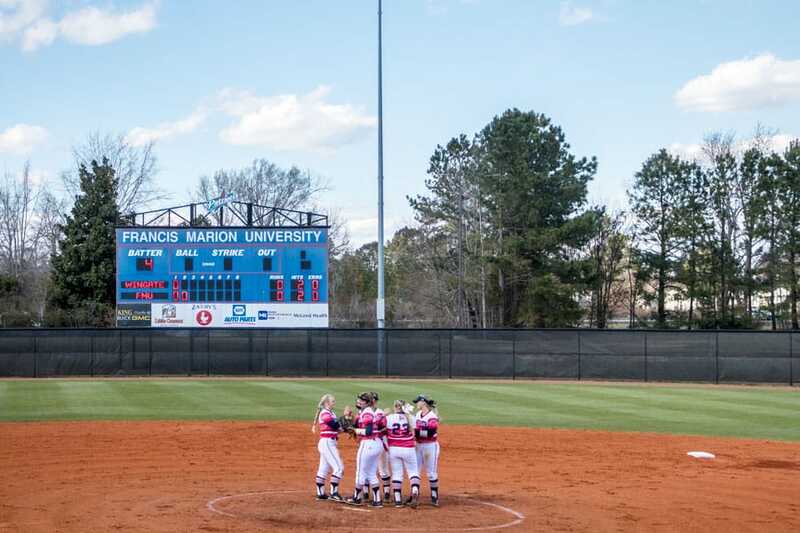 Francis Marion University’s 2019 Homecoming celebration will include the induction of one of the school’s softball greats into the FMU Athletic Hall of Fame. Former FMU softball star Laurie Niego Mancari (’03) in this year’s inductee. She’ll join 51 other members of the FMU Athletic Hall of Fame during an induction ceremony on Saturday. Feb. 23 at 3:15 p.m. between the women’s and men’s games of the FMU and Flagler basketball doubleheader. Niego was a four-year letterman who earned All-Conference and All-Region honors three time. 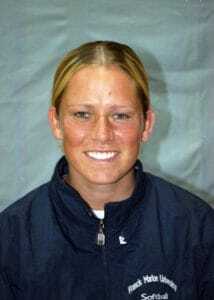 She was an All-American in 2002. Niego was a superb defensive catcher, but was also an outstanding hitter. Niego appeared in 210 games for the Patriots and hit .364 with 26 home runs and a school-record 157 runs batted in. During her All-American season in 2002 she hit .381 with 12 doubles and eight homers, and committed just a single error in 238 fielding chances. She helped lead the Patriots to a combined 140-73 record during her four seasons. Niego was also named to the Peach Belt Conference Presidential Honor Roll each of her four years. She earned a B.B.A. degree in business economics in 2003. Niego currently resides in Chicago, Ill, with her husband and two children Haven and Leo. She earned her law degree from Chicago’s John Marshall Law School in 2007 and is an associate with the Kralovec, Jambois & Schwartz law firm, which specializes in medical malpractice and personal injury cases. She holds membership in the Chicago Bar Association, Illinois Trial Lawyers Association, American Bar Association, Illinois State Bar Association, and the Women’s Bar Association of Illinois.